Smart business owners know that a good CPA is a valued business partnership. 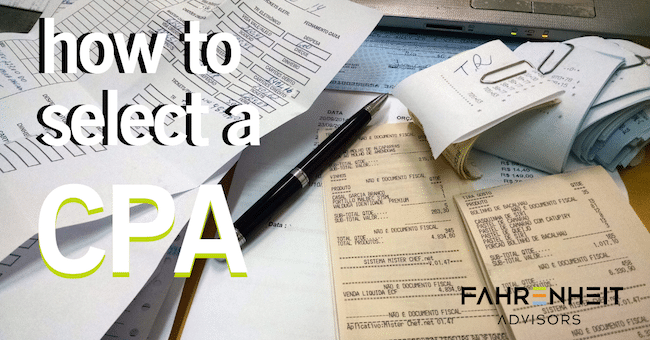 Very often we are asked “How do I select a CPA?” The basic answer comes in three steps. 1) Define your company’s requirements for a CPA firm. 2) Interview and conduct due diligence on several firms. 3) Combine the results of your due diligence with your gut instincts about fit and which firm will best meet your needs. Read on for some additional helpful detail on this process. There are various factors to consider in your evaluation and selection process. First confirm: what types of services and therefore technical capabilities, do you need from your CPA? Then consider: how complex is your business and, therefore, what specialization/specific credentials do you need from your CPA? Has multiple entities, related party transactions, etc. You know exactly what your requirements are and have a few qualified candidates in mind. Now it’s time to interview. We recommend that you have a prepared set of questions to ask all candidates and have multiple people interview the candidates, then compare notes. Who is the engagement team? It’s important for you to understand who is going to actually do the work, and who is ultimately responsible for the work that is done. Find out how often will you talk to/see that person. Will it be a firm/partner with experience with your industry or your business size? Is there a “fit” that will (hopefully) bring about a long-term relationship? What is the billing structure? Understand the exact services and the timing of work and deliverables you will be receiving. How will you be billed — hourly or built into the fixed fee? Have a clear understanding about costs and what can impact them. Are they able to generate a growth plan for your company? What are the communication expectations (within same day? 24 hours? email vs. phone, etc.)? Will they be responsive, available, and offer timely deliverables? Do you have a personal connection? If you’re still unsure, don’t undervalue your gut! Once selected, you should re-evaluate your CPA’s capabilities based on the changes in your business as your requirements may change over time. If you don’t have a great relationship with your current CPA or don’t think you are getting the value you had hoped, consider sitting down with your CPA and having that frank conversation. More times than not the underlying issues are basic expectation setting and communication between the parties. After that conversation, if you don’t think your CPA is the right fit or maybe you have outgrown their capabilities, hopefully this outline will be helpful in selecting a new one. Your CPA needs to be a valued business partner, so spending time in the management of your existing relationship or in the search for a new partner is a good investment in your business. If you need assistance in evaluating how to have a better relationship with your CPA, or need assistance in selecting a new one, please contact us or call (804) 955-4440 Fahrenheit Advisors today. 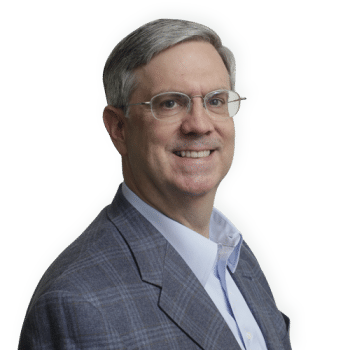 Doug Jones is a Managing Director focusing on providing Business Advisory and Fractional CFO services to middle-market companies. 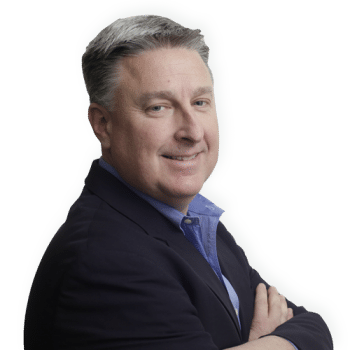 Doug has significant experience selecting and effectively working with CPA firms to add value to a business. Contact Doug Jones. Keith Middleton is the Co-Managing Partner of Fahrenheit. Prior to Fahrenheit, Keith was a CPA for 12 years and has been an active purchaser of CPA services ever since. Contact Keith Middleton. « Are your Employees Ignoring their 401(k)s?